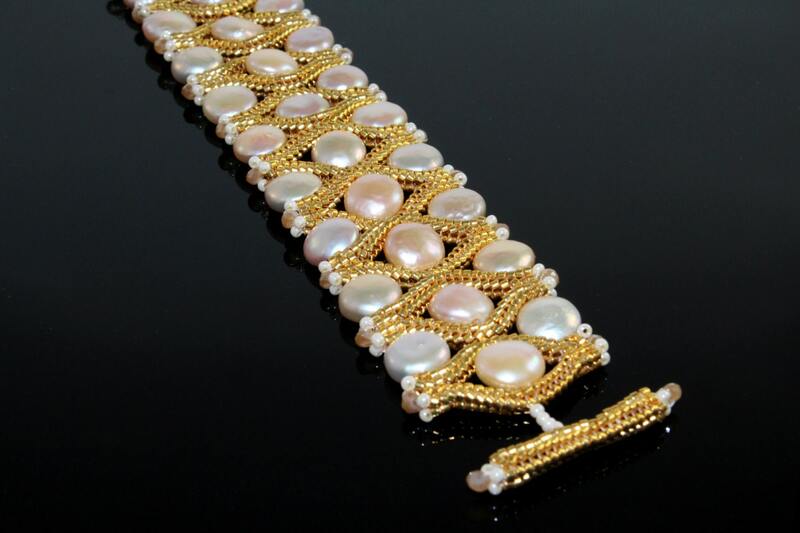 Create a stunning bracelet using lustrous coin pearls or crystal coin pearls and seed beads. 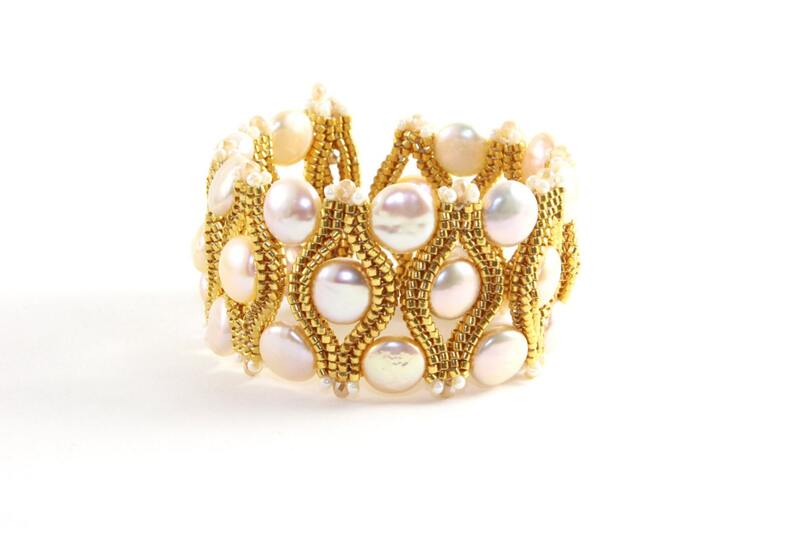 Apart from being a great addition to your bracelet collection, it is also perfect for wearing any time of the day. Mostly Ndebele Herringbone stitch. Suitable for Intermediate level beaders. 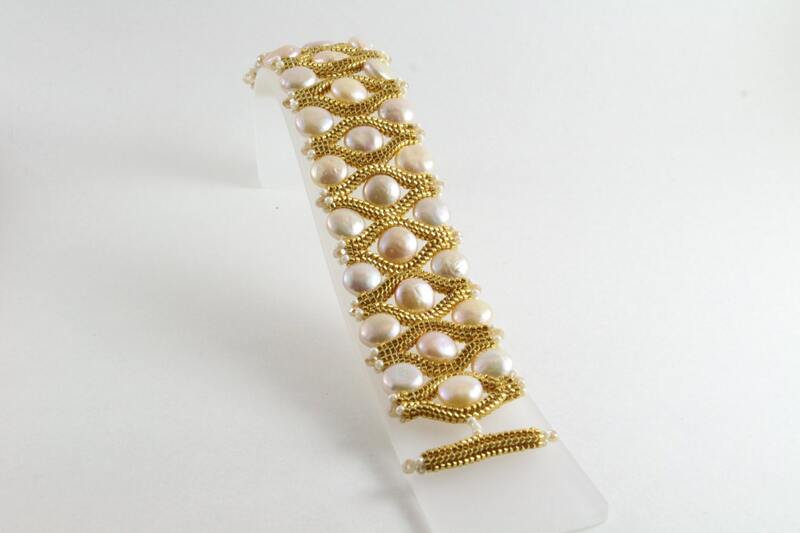 Bracelet measures: 7” x 1 ¾” or 18cms x 3 ½ cms.